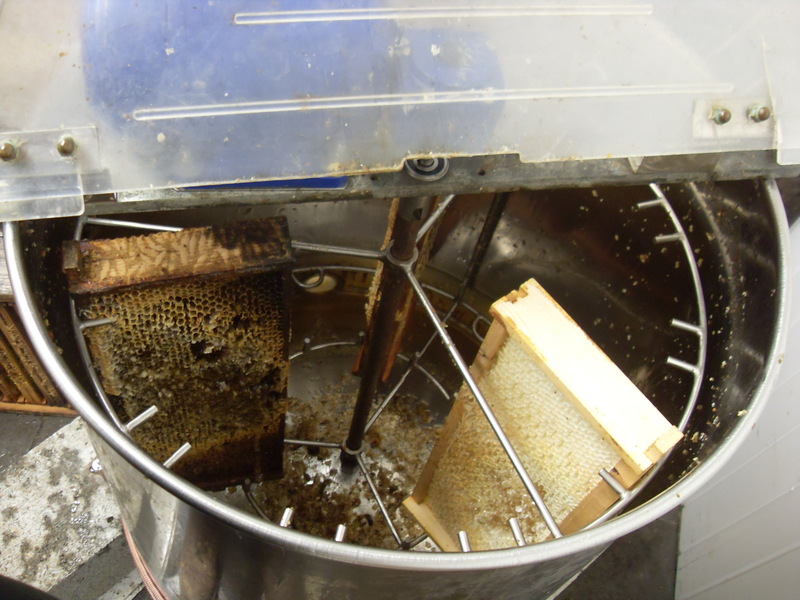 We’ve stated to extract the honey, the extraction process is where you use a extractor to spin the honey frames from the hives around in a circle. 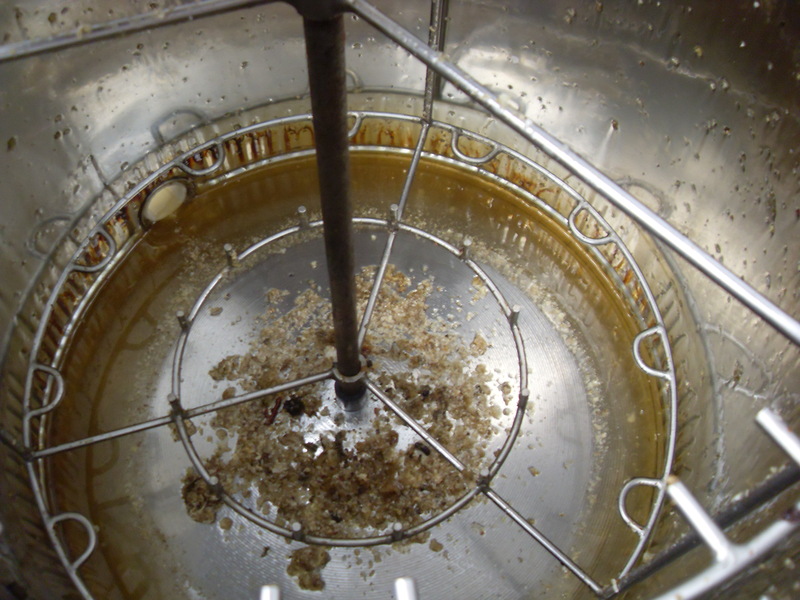 Below shows a picture of the empty extractor. The bits you see in the extractor is wax capings from the frames. The centrifugal force, forces out the honey from the honey comb. you can see the frames in the extractor. Then the honey comes out.